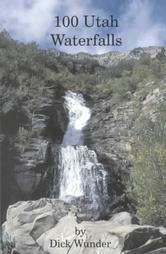 The Wasatch Mountains are full of hidden, beautiful waterfalls, most of which are easy to hike to! Join us as we hike to many of these hidden treasures. The orientation will inform you as to where to meet, what to wear and how to receive info each week. Hikes held on Saturdays from 8:30 am - 11:30 am. All hiking abilities welcome. Come make new friends, get in shape and take lots of pictures! Can't attend the orientation? Register and ask in advance for the instructor e-mail and website. One night orientation held Tuesday, April 5 from 6:00 pm - 6:30 pm. Hikes held on Saturdays from 8:30 - 11:30 am. Ending May 3rd. $35 per session. REGISTER HERE.